Culture Managers from around the Globe met in Germany. 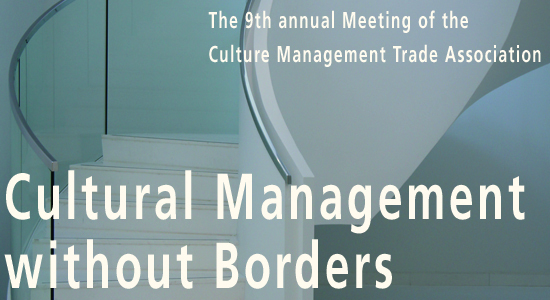 The Würth Foundation (Stiftung Würth) sponsored the 9th annual meeting of the Culture Management Trade Association. The host, Prof. Dr. Raphaela Henze, is convinced that the two cities Künzelsau and Schwäbisch Hall are now integral parts of the participants’ cultural map. Great art, as experienced by the participants at the Würth Art Gallery and the Hospitaller Church, and excellent culture management research and education, as offered at Campus Künzelsau and Heilbronn University, are indeed not unique to large cities or metropolises. “Künzelsau is indeed a global village. And after this conference, it will stimulate further development of international culture management amongst the rest of the world”, says Henze about the success of the Meeting. Culture managers from research as well as those applying it practically in the field discussed the situation of creative forces. Given the incidents in Paris, they agreed that they needed to support the achievements which Europe notably stands for in an international context. These include no restrictions on human rights or freedom of expression. In addition to the perception of one’s own identity, the participants also discussed future skills required in international culture management. 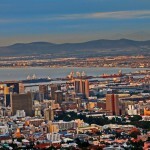 Particularly the guests from South Africa, Morocco and India considered flexibility the most important attribute and the capability to “make the most from little”. This situation might still be foreign to culture managers working in publicly funded facilities in Europe, but given the dwindling finances available could well be a future scenario. Among the topics concentrated on in numerous discussions and workshops were: The critical stance with the media, world-wide networking, huge differences in the definition of art, Europe’s role in the world-wide export of cultural goods, the role of intermediary institutions, such as the Goethe Institut and the British Council and the struggle for new target groups. Big names of the international cultural studies and management community came to speak at the event, such as Frédéric Martel, author, journalist and sociologist focussing on research at the French Institute for International and Strategic Relations (IRIS), Rebecca Matthews, Director of “Aarhus 2017″“, the Danish city appointed European Capital of Culture in 2017, Dr. Caroline Robertson-von Trotha, Director of the ZAK | Centre for Cultural and General Studies at the Karlsruhe Institute of Technology (KIT) and Professor of Sociology and Cultural Studies, as well as Michael Schindhelm, author, filmmaker, theatre expert and advisor and counsellor to international cultural organisations. “I’m very pleased that our conference in Künzelsau attracted so many people with whom I have had contact for years and whose research activities have inspired me in many ways. The event has undoubtedly brought a new dimension to the issue of International Cultural Management discussed here at our university. That was a major success. I’m looking forward to new projects, publications and partnerships with other higher education institutions, in particular regarding degree programmes abroad,” Henze concludes. Students of Business Administration and Cultural/Event/Sports Management also helped to make sure that everything ran smoothly during the event that was promoted by the Foundation for the Promotion of the Reinhold Würth University of Applied Sciences: They were involved in the organization of the event, including a rich programme of musical performances. The Association of Cultural Management is a professional Association of academic Lecturers and Researchers in the Field of Cultural Management. The Mission of the Association is the Representation and Advancement of the Discipline in Research and Teaching.